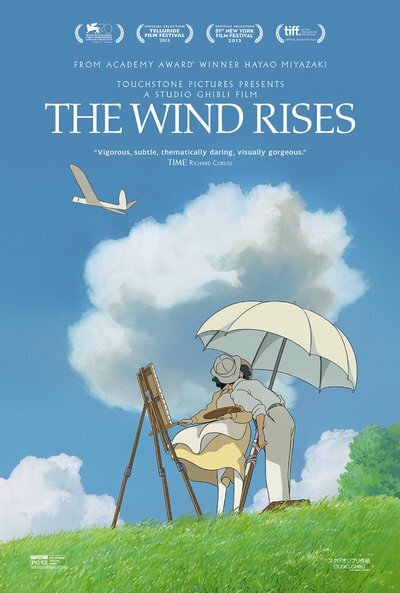 Story: In "The Wind Rises," Jiro - inspired by the famous Italian aeronautical designer Caproni - dreams of flying and designing beautiful airplanes. Nearsighted from a young age and thus unable to become a pilot, Jiro joins the aircraft division of a major Japanese engineering company in 1927. His genius is soon recognized, and he grows to become one of the world's most accomplished airplane designers. The film chronicles much of his life, and depicts key historical events that deeply affected the course of Jiro's life, including the Great Kanto Earthquake of 1923, the Great Depression, the tuberculosis epidemic and Japan's plunge into war. He meets and falls in love with Nahoko, and grows and cherishes his friendship with his colleague Honjo. A tremendous innovator, Jiro leads the aviation world into the future. Miyazaki pays tribute to engineer Jiro Horikoshi and author Tatsuo Hori in his creation of the fictional character Jiro - the centre of the epic tale of love, perseverance, and the challenges of living and making choices in a turbulent world. Please Note:While the English language cast is listed below, UniMovies will be screening the original Japanese language version, with English subtitles.